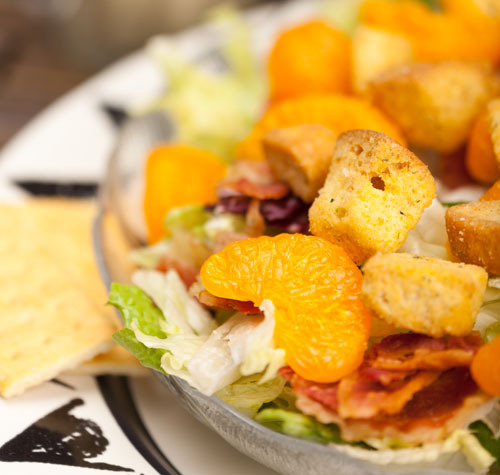 There is a $1.25 charge for splitting salads, comes with an extra dressing. Additional dressings are available for $.75 each. 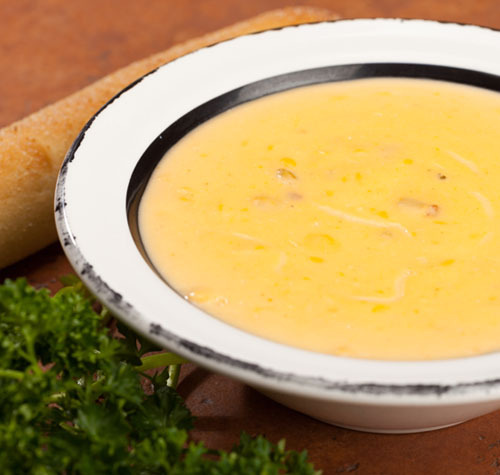 A creamy blend of cheeses laced with bits of bacon & celery makes this a smooth, creamy soup and one of our most popular. One of everyone's favorites with thick noodles, carrots & chunks of chicken blended into a hearty seasoned broth. This is an edible sourdough bread bowl brushed with butter & garlic and baked in our oven, overflowing with your choice of any of our > soups sprinkled with a dash of chives.